If there is no copy with the family papers for an ancestor’s Will you need to inquire with the courthouse of the town or county where that ancestor lived at the time of their death. 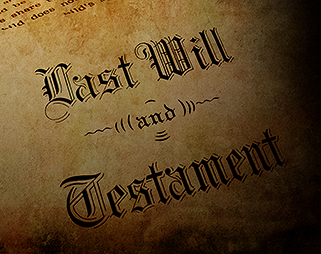 An original last will and testament itself may not be copied into the official court minute book; however, there might be a statement that a Will was filed with the clerk. If there is a notation, that proves that one existed. Courthouses have kept original or copies of Wills in numerous locations, many also now scanned and made in a digital format, but Wills are not placed online. It is nice to have both the original and the copy which the clerk made in the Will book. There can be the problem of a clerk’s records in a courthouse lost to floods, hurricanes, or fire. With Wills, an estate will have probate records which are usually indexed. They’ll be listed by the name of the testator (the person who left the Will) or intestate person (a person who died without a Will), not by the heirs named in the Will. However, finding an ancestor’s Will can provide some valuable information. Listing of children (including adult children) with their full names written out is great to have. These usually appeared after the first child was named and can include the maiden names of the mother. There might be a child out didn’t know about. Names of other relatives can be listed besides names of family friends or organizations that the deceased belonged to in their lifetime. Of course one of the most important items found in a Will would be a listing of property owned by the ancestor. Once you have some property descriptions you can further check at the hometown courthouse about the land or real estate. Again, not every person left a Will, usually, it was a male with property, but ladies could have if they had their own property. It makes for a great search and even better if an undiscovered Will is located.